The Shopping Channel has a Flash Sale today! 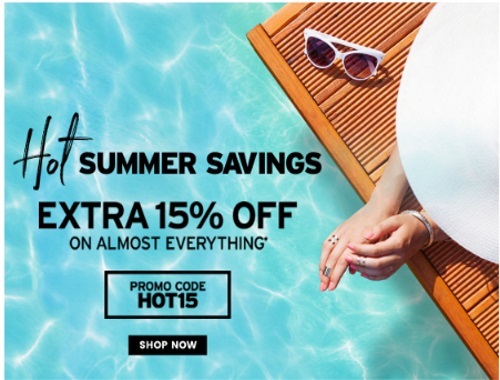 Get hot summer savings with an extra 15% off on almost everything! Enter the promo code HOT15 at checkout to get the offer. Offer ends August 25 at 6:59am ET.